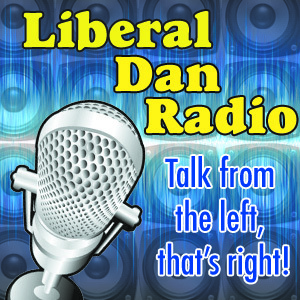 Earlier today I was in a place where I was thinking of giving up on doing the Liberal Dan Radio podcast. Not just for today, but for good. That is basically how hopeless I felt about things. That gave me the strength to get on the air. So I want to thank that friend for that. And during the podcast I realized an important thing. While I am Jewish and Trumps pandering to antisemites still terrifies me, there are many other people out there… friends of mine who have shared their fears today. People who may feel less than safe about speaking up during a Trump Administration about their fears and needs. Those people are going to need advocates. I can use my show to be one of those advocates. I can use my show to stand up and fight for others who do not feel comfortable standing up and being visible right now. So that is what I will do.